TRUSU Eco Club Co-Presidents Katie Shouldice (left) and Hanna Martens (right) at the Clothing Swap. It takes about 2,700 litres of water to make one brand new T-shirt. 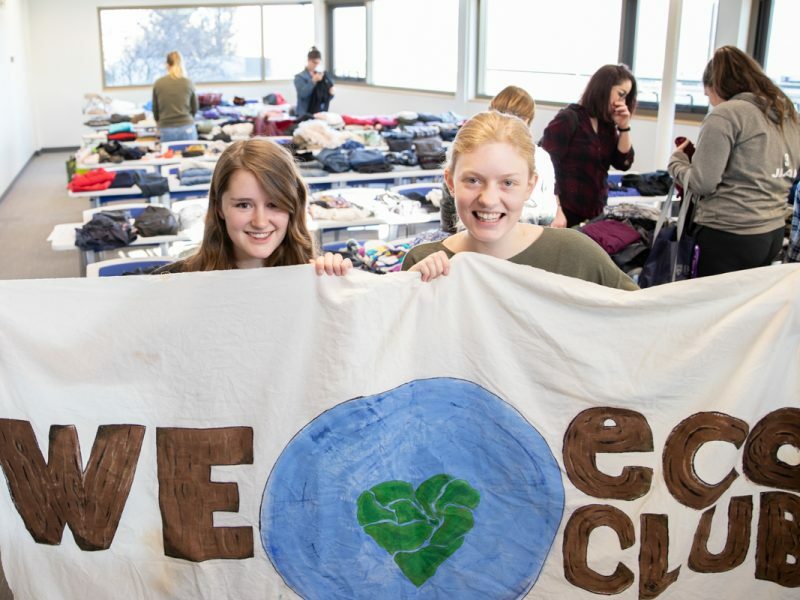 That’s why on Thursday, Nov. 28, the TRUSU Eco Club hosted its second annual clothing swap. Not only did everyone who participated discover how small efforts can help the environment, they also got a fresh wardrobe. Tables in the TRUSU lecture hall that are usually full of people in meetings were, instead, piled with neat stacks of used clothing looking for new closets to inhabit. The swap started a year ago with sustainability in mind. It gives TRU students a budget-friendly way to brighten up their wardrobes without adding more used clothing to the landfill – and more gas emissions to the atmosphere. TRUSU Eco Club co-president Katie Shouldice has been with the club for three years. She said the clothing swap is a highlight among club events. She hoped the swap will prompt people to think about the impact of their purchases on a larger scale, as well as changing the way students consume products. 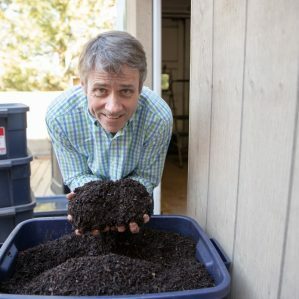 “I think that the best way to help and change the environment is to really educate people about the impacts that they personally have and how they can change things,” said Shouldice. She said changing small things in daily life can make an impact. A fourth-year environmental chemistry student, Shouldice didn’t know what career she will pursue after graduation. But she does know she wants to keep helping the environment. The TRUSU Eco Club has several great ideas for events and fundraisers for the upcoming winter semester. Check out their Facebook page for more information or contact the club presidents.